Athlete’s foot is a common skin fungus that affects the feet, particularly between the toes, and at times the toe nails. It is refer to as “ringworm of the feet”. Tinea pedis is a fungal infection that thrives warm, damp environments. Fungi live off dead skin cells on the calluses of the feet (especially in-between the toes). Athlete’s foot fungus is highly contagious and is found most commonly in warm, damp places, like gymnasiums, locker rooms and indoor swimming pools. The fungus responsible for Athlete’s foot grows on or inside the top layer of the skin. The fungi grow easily on the feet, especially in-between the toes. Athlete’s foot is contagious when encountered with areas that are warm and damp, such as showers and locker rooms. Some people are more susceptible to Athlete’s foot than others. Once someone has Athlete’s foot, he is more likely to get it again. The fungus spreads quicker when antibiotics, drugs or radiation destroys beneficial bacteria. Symptoms include itching, burning sensation and unpleasant smell, inflammation, scaling and blistering on the foot and in-between the toes. Athlete’s foot can become infected if not treated. Keep feet clean and dry. Wash feet thoroughly at the end of the day. Dry carefully between your toes. Make sure you use each towel only once before laundry. Change socks daily. Wear loose shoes that allow ample room for air to circulate. Wear shower sandals when ever showering in a locker room. Eat a balance diet made up of raw fruit and vegetables, broiled fish, chicken, whole grains and yogurt. Avoid cola, processed foods, refined grains and all forms of sugar. Cut raw garlic into tiny pieces and wear them in your shoes for a few days. Bathe your foot daily in half and half mixture of vinegar and water before applying colloidal silver, tea tree oil or garlic oil. Fast remedy to treat Athletes Foot is our Athlete Foot solution kit. 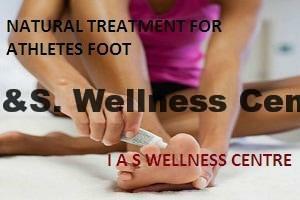 This kit is 100% compounded herbal medicines of various types which treat the root cause of Athletes Foot. This entry was posted in Health articles and tagged Athletes Foot, burning sensation and unpleasant smell, inflammation, itching, scaling and blistering on the foot and in-between the toes.